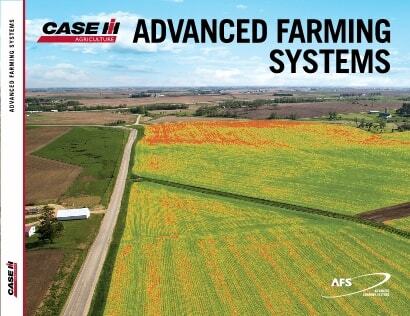 View, edit, manage, analyze and utilize your precision farming data with Case IH AFS software. Through a single, integrated software package, you gain the flexibility and analysis power to support all your precision farming needs —generating yield maps, prescription maps, and more. Whether it’s through your AFS Pro 700 display, crop consultant, ag retailer or other supplier, AFS software lets you easily import and manage your data for your operational needs. 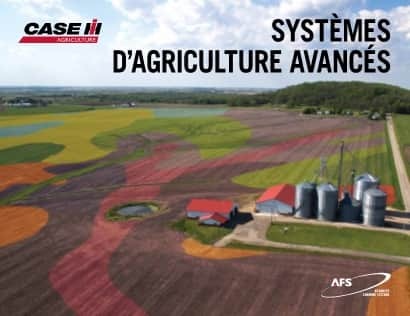 AFS™ Viewer is a no-cost package that enables the reading and writing of data such as client, farm and field names together with job data including yield and coverage maps to popular precision farming devices. AFS Mapping allows for record keeping of fields, mapping and analysis. Layer a variety of topographical and yield maps to establish yield performance, and compare these with average multiple year maps to identify areas that deliver consistently high or low yields. Variable rate prescription maps using formulas based on soil types can also be created, together with yield or other maps. Guidance paths can be created or edited, and reports can be printed for seed varieties, restricted use chemicals, fertilizer usage, equipment maintenance and more. AFS Books provides access to the profitability of field, livestock groups and equipment. Print tax reports for both cash and accrual ledgers. Keep up to date with the inventory records on supplies, seeds, chemicals, fertilizer, feed, harvested crops and livestock.